Gorgeous Blues! 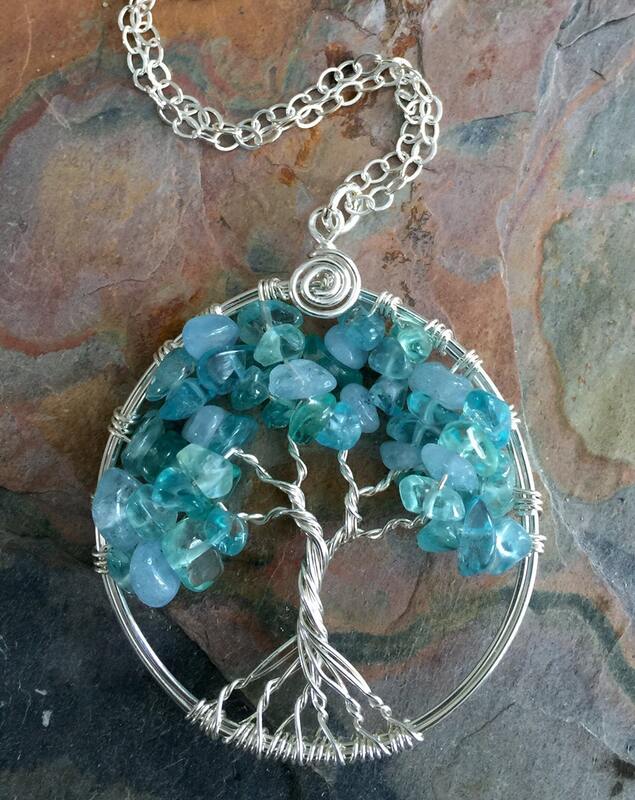 I call this pendant Aqua "Blue Lagoon" Tree of Life pendant Mix of two beautiful gemstones: Aquamarine & Apatite. 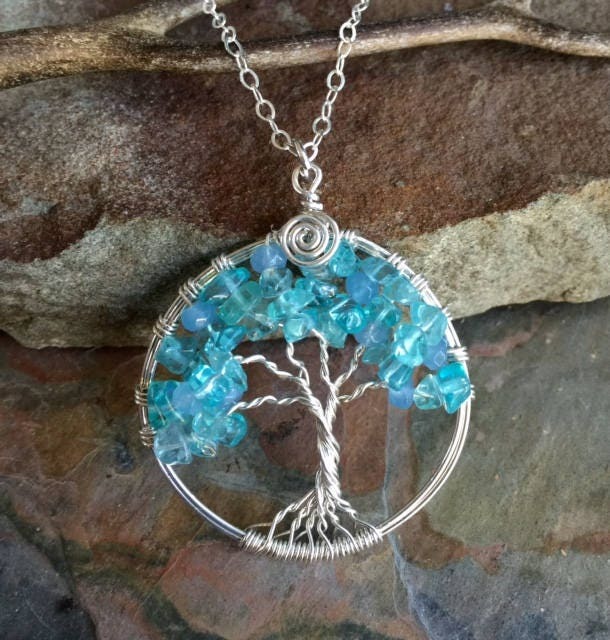 We created this unique & gorgeous wire wrapped Tree of Life pendant necklace. 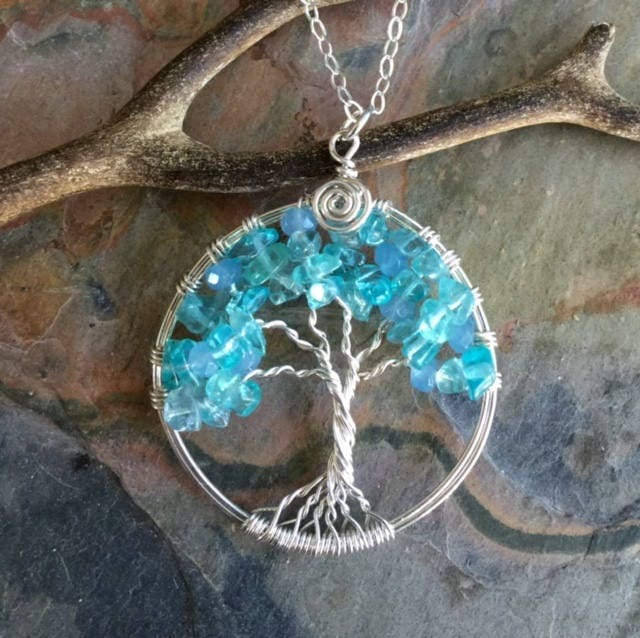 The pendant is made with Aquamarine and Apatite gemstones using 100% .925 sterling silver wires. It comes with .925 sterling silver cable chain. The pendant measures between 1.55 to 1.60 inch in diameter. 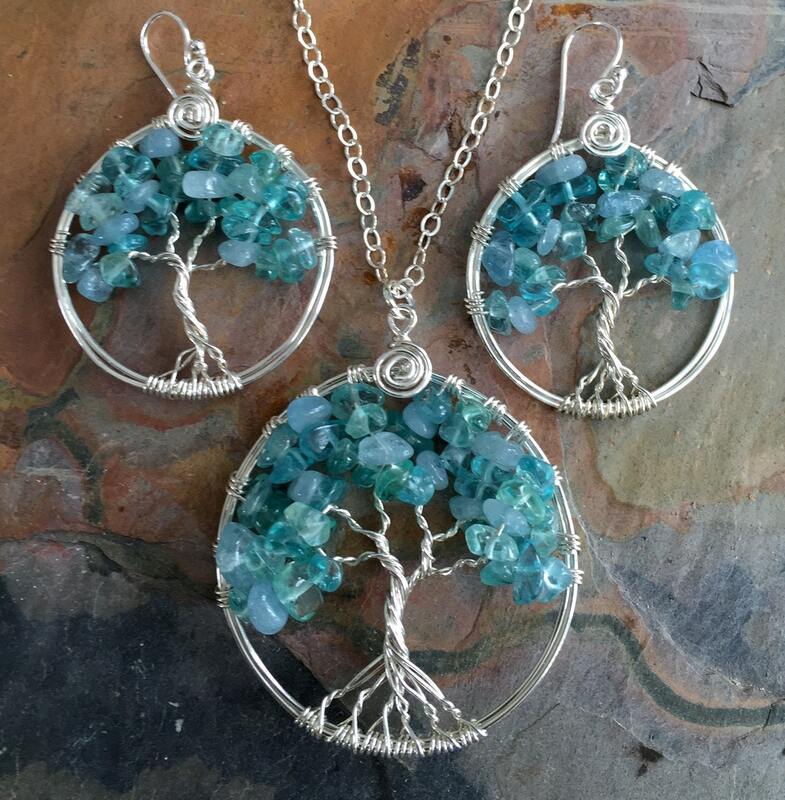 please allow slight variations from the shape of the branches and placement of the stones as shown. 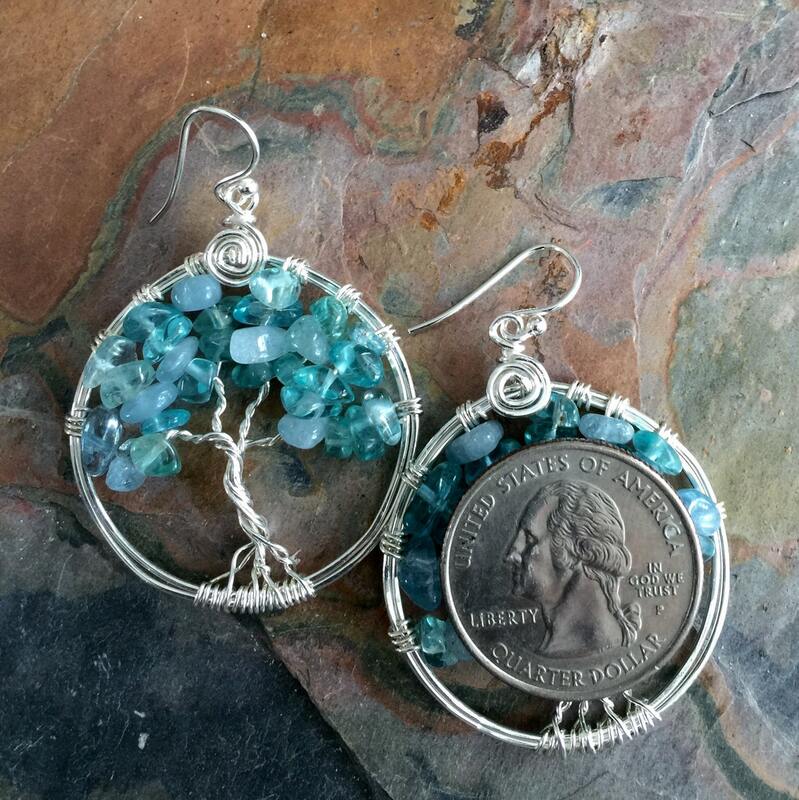 The matching earrings are made with same gemstones used in pendant. It measures 1.25 to 1.35 inch in diameter without bail. They dangle slightly under 1.5 inch from the bottom of the .925 sterling silver eawires. 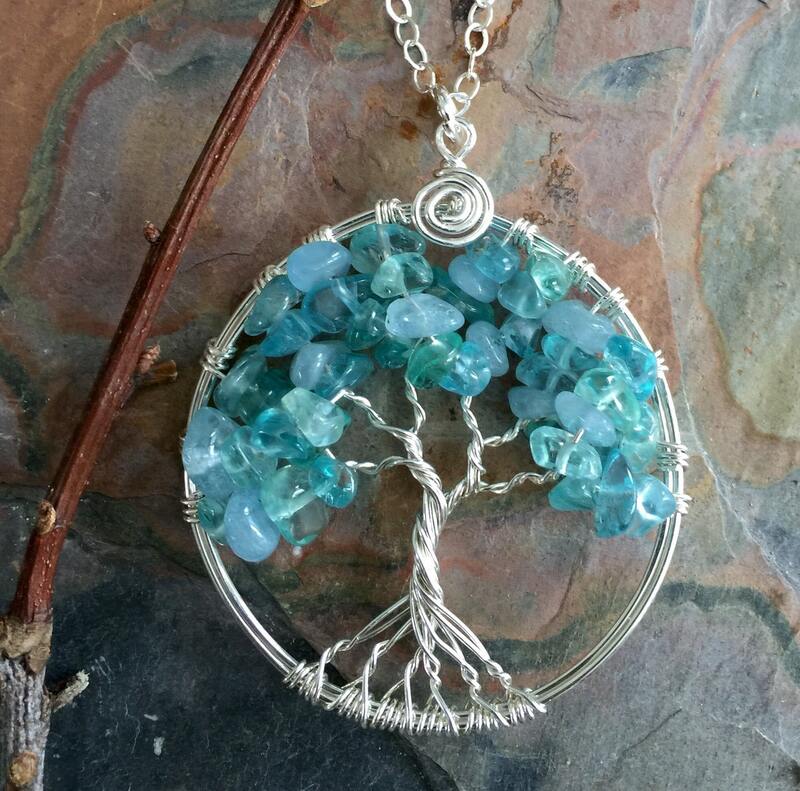 Apatite is known for its positive use of personal power to achieve goals. It clears away confusion, apathy or negativity, then, stimulates the intellect to expand knowledge and truth. The name Aquamarine comes from the Latin aqua marinus, meaning "water of the sea," and refers to its sparkling ocean-like color. Aquamarine is calming, soothing, and cleansing, and inspires truth, trust and letting go. Aquamarine was believed to be the treasure of mermaids, and was used by sailors as a talisman of good luck, fearlessness and protection. It was also considered a stone of eternal youth and happiness. My aunt absolutely loved the gift. Very very very well-made. Gorgeous. Beautiful jewelry! Gift wrapped and ready to give! Fast service! Thanks! Love the fact that it's more an aquamarine color than (as shown) turquoise shade. Just lovely.